A Manitoba mom wants rural ambulance service expanded, not cut, after it took paramedics more than an hour to reach her four-year-old daughter in May. 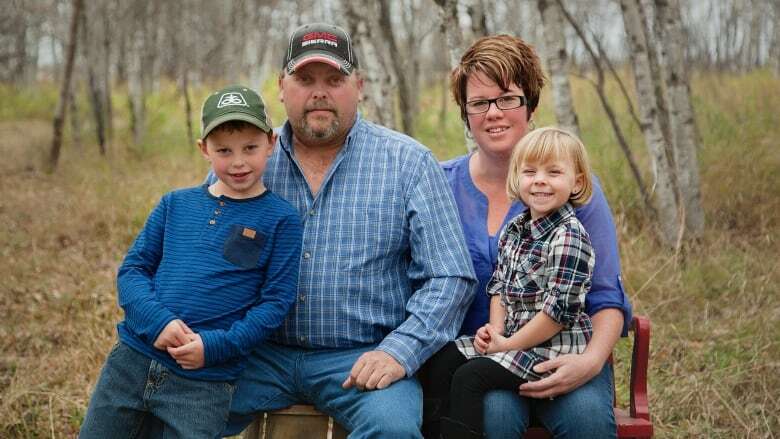 A Manitoba mom wants rural ambulance service expanded — not cut as planned by the province — after it took paramedics more than an hour to reach her four-year-old daughter in May. Cadee Sobry was riding an ATV that flipped on top of her, pinning her to the ground. Her dad called 911 and paramedics were dispatched while her mom, Aimee Sobry, rushed home. She was about 20 minutes away, in Melita, and when she arrived, paramedics still hadn't arrived at the family's farm near Reston. The slow response left the mother stunned. "I beat the ambulance here to our yard by over 25 minutes. Our farm is not difficult to find," Sobry said, adding her husband called 911 again after waiting for 52 minutes. She complained about the incident to Prairie Mountain Health and received a letter signed by a manager apologizing for the delay in care. Prairie Mountain Health did not immediately respond to CBC's request for comment, but a government spokesperson said the province is asking the regional health authority to review the case. Part of the issue was that the Reston ambulance had already been dispatched to another call so they sent ambulances from Melita and Virden, the letter said. The official couldn't say, however, why Melita paramedics had problems finding the family's farm. Sobry said a neighbour told the family that paramedics showed up in their yard by mistake and were lost. The paramedics wouldn't say who they were looking for, so the neighbours couldn't direct them to the correct address. Meanwhile, Mounties were dispatched and sitting a mile away from the accident scene. Sobry said she's against the Manitoba government's recently announced plan to shut down 18 rural emergency medical stations that house ambulances. The governing Progressive Conservative Party plans to shut down the paramedic station in Reston. The changes were recommended in a 2013 report on the province's emergency medical services system. A government spokesperson said the province's plan will serve patients in emergencies more efficiently through five new stations that will be built. "Our incident shows the desperate need for rural medical care," Sobry said. "If they're going to make all these cuts, it's only going to make it worse." "There's no need of a Virden ambulance or a Melita ambulance taking an hour to get here," she said. "You can get to Melita by legal speed limit in 25 minutes, and I can get to Virden in under 20 minutes by legal speed limit. "So how, how is it possible to take you 64 minutes to get here?"